Simple elegance is not subject to change. 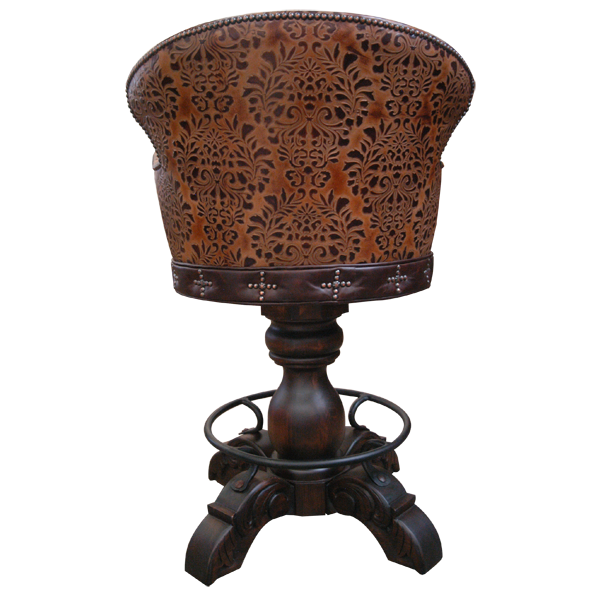 This handcrafted bar stool is a continuation of centuries-old Spanish colonial traditions which are reflected in its beautiful design. Its seat and inside seat back are upholstered in rich, brown full grain leather, and the center of its inside seat back has a beautiful button tufted design. The reverse seat back and the front part of the armrest are upholstered in dramatic, earthen and black colored, embossed full grain leather. 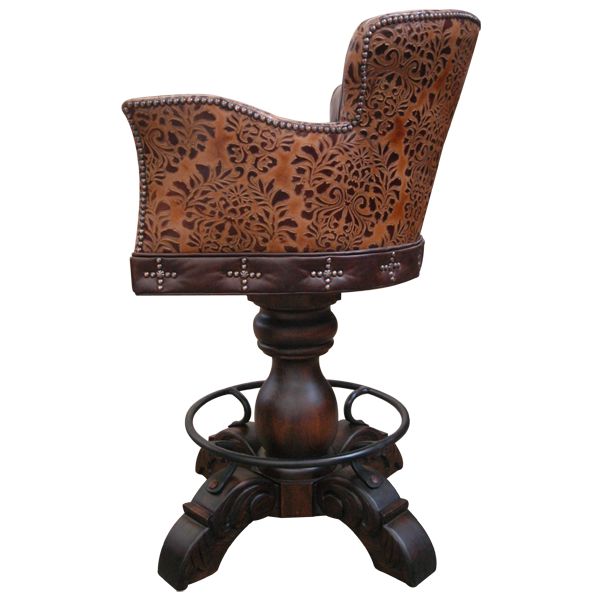 All upholstery is precision hand tacked to the entire wood frame by our skilled craftsmen. The entire base of the bar stool is decorated with Spanish colonial style crosses made with hand forged nails. 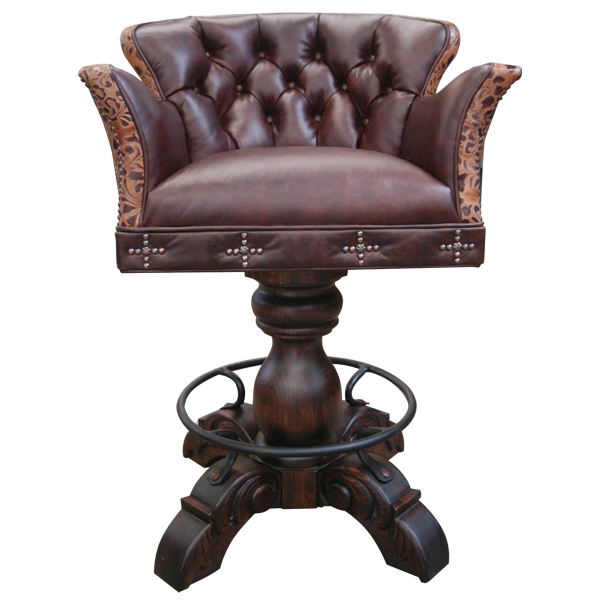 The bar stool rest on a strong hand turned wood trumpet pedestal, supported by four hand carved wood feet, and joined by a hand forged circular footrest. Both beautiful and durable, it is made of the best wood available. It swivels 180° and is 100% customizable.